Home » international news » Will Money In the Bank be the debut ground for salwar-kameez clad Indian female wrestler Kavita Devi? 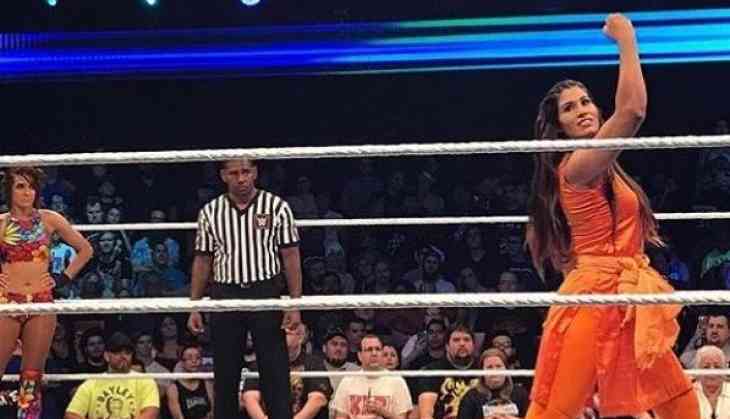 The first Indian wrestler to enter WWE ring wearing salwar kameez, Kavita Devi has reposted her entry video on Instagram, giving fans a sign that it is time she might fight for 'Money In the Bank' which is scheduled on June 17 in Rosemont, Illinois. She is better known as "Hard KD" she is presently undergoing training in Florida. Devi has signed a three-year contract with the wrestling world. Devi is better known for her traditional dress up. In an interview, Devi once said, "I am proud that I enter the ring wearing a salwar suit. It is part of our Indian culture. I am the only one at the international level to be doing so. Many girls in India avoid getting into WWE wrestling seeing the clothes that most women in this sport wear inside the ring. I have broken that image and more girls in my country are getting inspired." The 34-year-old Devi weighing 75 kgs and 5 feet, 9 inches tall is Haryanvi Jat girl, she is from a conventional family with a six-year-old son. She has wrestled for over 15 years and bagged the gold medal at the 2016 South Asian Games for India.